British architect Norman Foster (born June1, 1935), former Lord Foster of Thames Bank, was awarded the Prizker Architecture Prize in 1999 during a ceremony at the Altes Museum in Berlin, Germany. At the beginning of his architecture career, Foster was part of Team IV together with Richard Rogers, Su Brumwell, Georgy and Wendy Cheesman. This was when his reputation of high-tech design began. After Team IV, he and his wife, Wendy Cheesman, founded Foster Associates, and later it became Foster and Partners, as it is called today. From industrial buildings to office spaces, Foster and Partners became a leading and innovative architecture office that was the first one to introduce the open plan office floor. By the time Norman Foster was awarded the highest honor in architecture, the Pritzker Prize, he was completing the Reichstag in Berlin and had already designed and built the HSBC Main Building in Hong Kong, a 180 meters high building in which natural sunlight is the main source of lighting and sea water is used as coolant for the air-conditioning system. "His design objectives are guided not only toward the overall beauty and function of a project, but for the wellbeing of those people who will be the end-users. 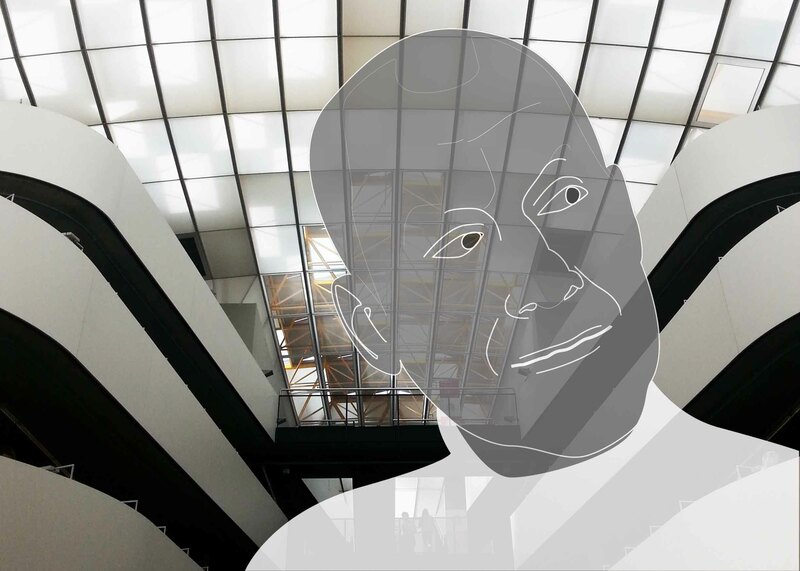 This social dimension of his work translates as making every effort to transform and improve the quality of life." -Pritzker Architecture Prize Jury Citation, 1999. The original building was constructed in the 19th Century, it was almost destroyed during WWII. A renovation of the original structure took place in the 60's by Paul Baumgarten. 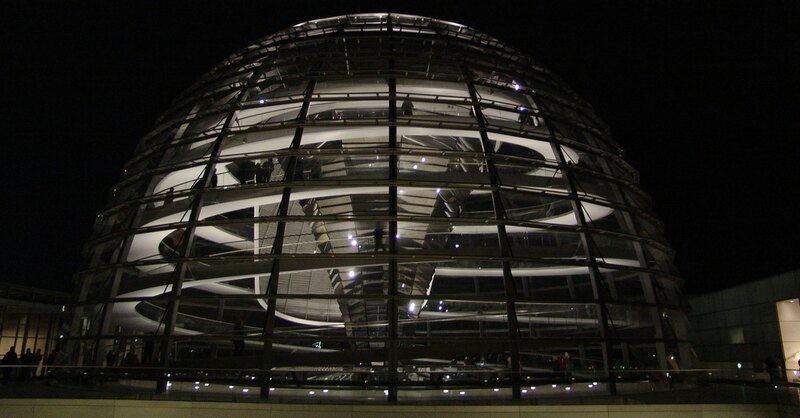 After the German reunification and the parliament's and government's return to Berlin, Norman Foster won a competition to be commissioned for the reconstruction of the Reichstag building in 1992. 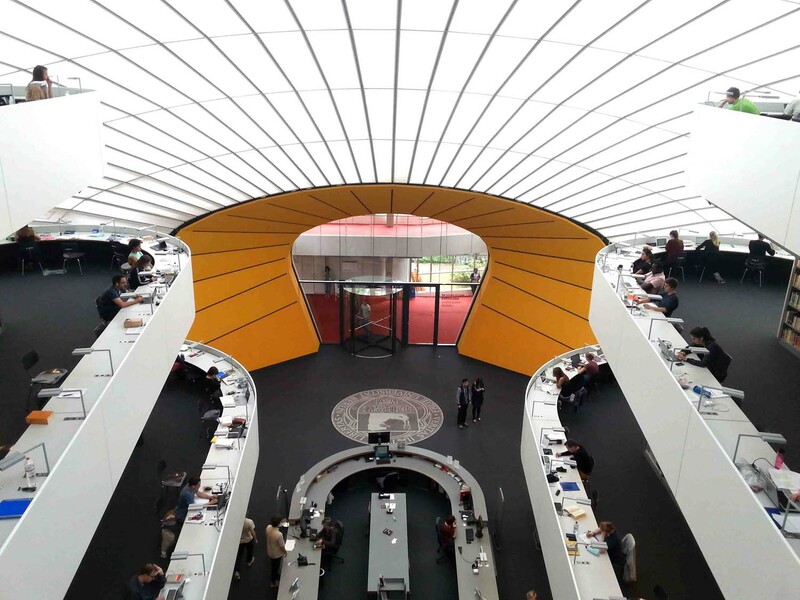 The construction of the renovated buildings and the addition of the glass dome was completed in 1999, same year when architect Norman Foster won the Pritzker Architecture Prize. Natural light from the top of the dome radiates down to the parliament hall. The electronic sun-shield tracks the sun's movement blocking direct sunlight to prevent dazzling and extreme temperatures. 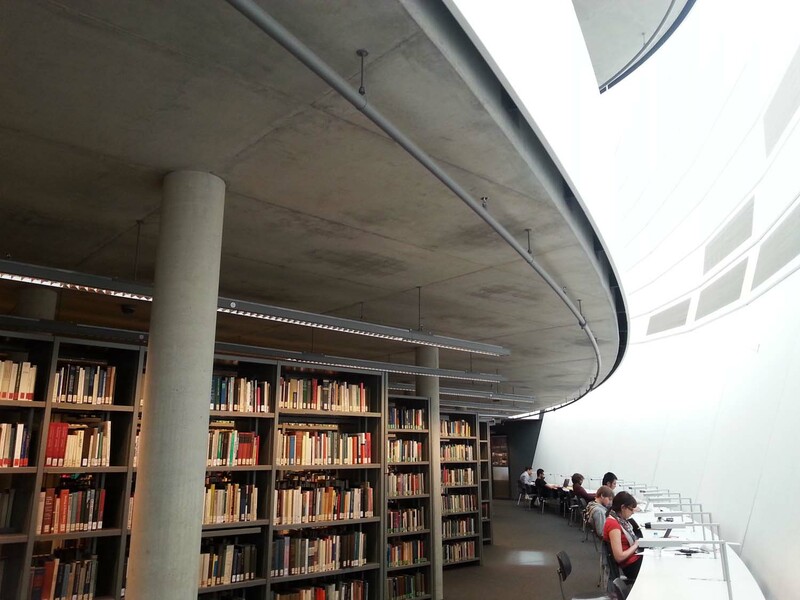 South west of the city, in the prestigious Free University of Berlin, Norman Foster designed and constructed the building for the Philological Library. 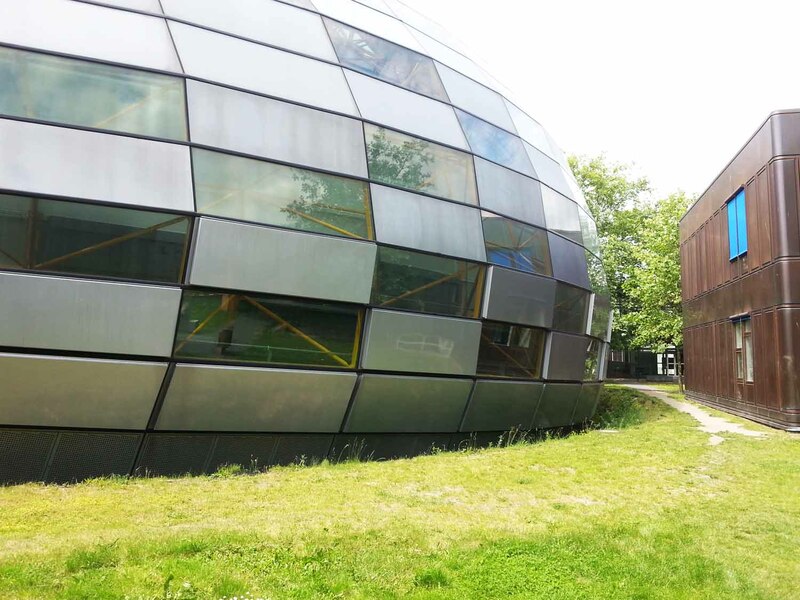 A large rounded shell in form of a human brain is located inside the university's campus, it occupies the space of what used to be 6 courtyards. The building's construction started in 1997 and was completed in 2005. A double facade covers 4 floors of study and archive spaces. The exterior skin is clad in aluminum and glazed panels, the inner membrane of translucent glass fiber works as a filter for daylight. Scattered transparent openings allow sky view. 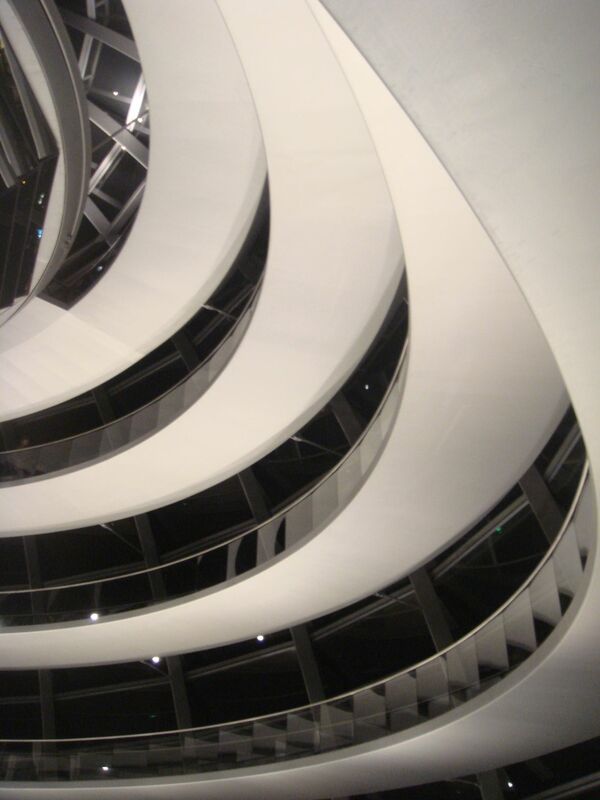 The structure is formed by steel frames with a radial geometry. 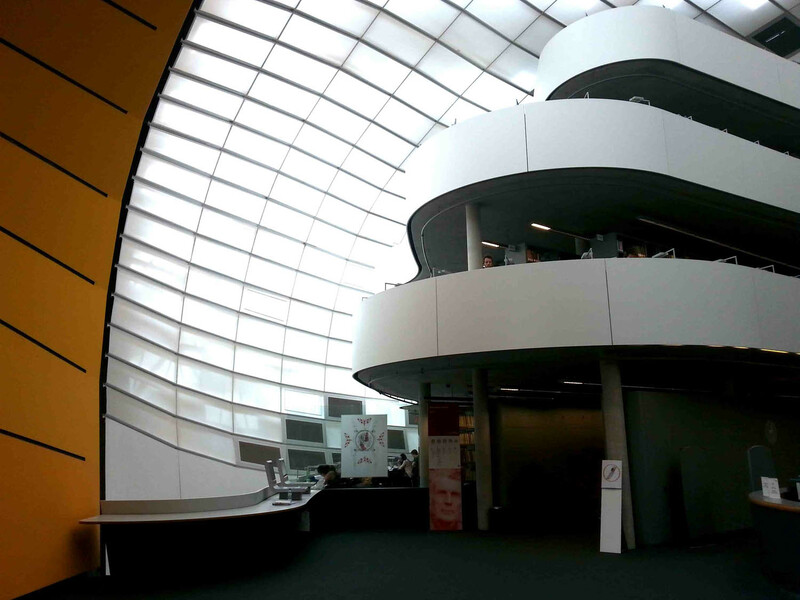 Each floor becomes a curved balcony arranged in different terraces preventing the space to feel enclosed but allowing certain privacy for studying. ".. I can see that our practice has been inspired by these polarities of action and research, which means trying to ask the right question with an insatiable curiosity about how things work, whether they're organizations or mechanical systems. A belief in the social context that buildings are generated by people and their needs, and those needs are spiritual as well as material. Never taking anything for granted, always trying to probe deeper, to access the inner workings behind the many branches of human activity for which we, as architects, are charged to explore and respond to." -Norman Foster, Pritzker Prize acceptance speech, 1999.